Here is just a small sample of some of the projects I have contributed to in a major way. 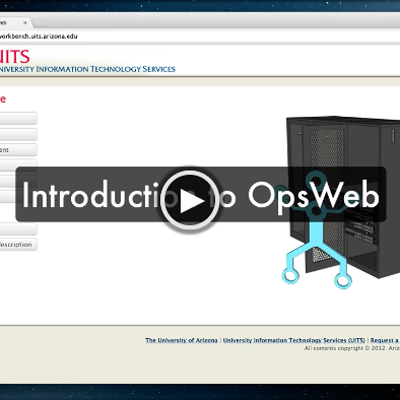 I wrote an inventory and log web application for the University of Arizona's main operations center. Read more for details of the project. Writing software is only part of the battle. Next you have to make sure people know how to use it. Read more for details on my training efforts.. 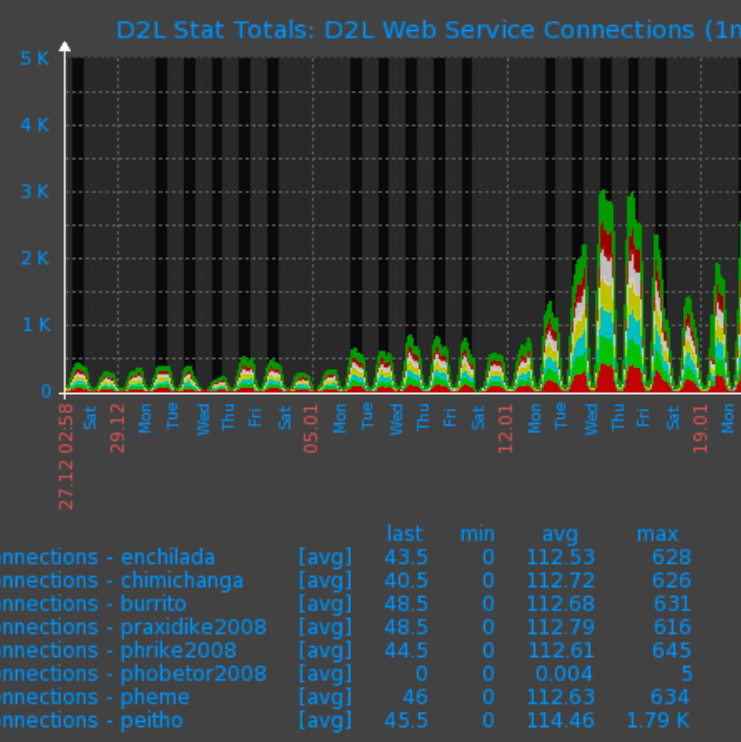 I was primarily responsible for implementing the Open Source Enterprise Monitoring software Zabbix. 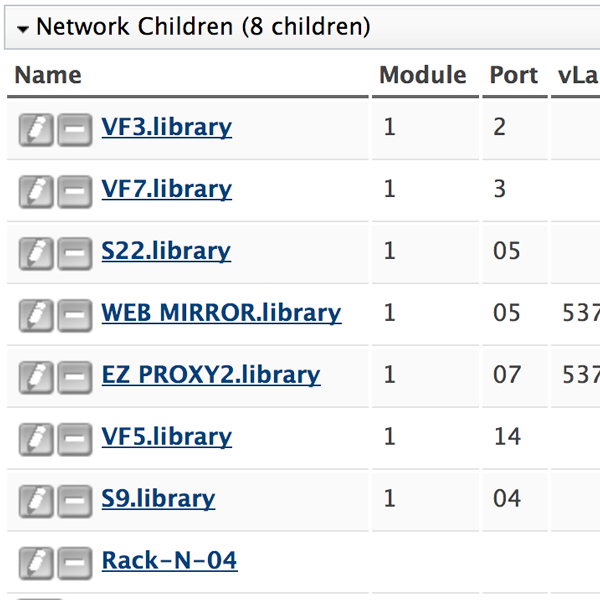 Aside from the standard sort of monitoring associated with Enterprises, Zabbix is very maleable, and I was able to integrate with just about anything with a network address. Making decisions based on data is crucial for any operation today, and Zabbix allows for the collection of any just about any data you may need. Read more for details of the project. 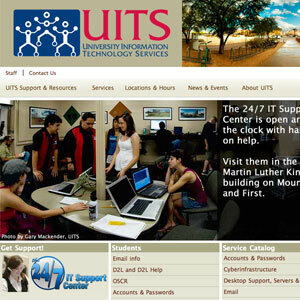 The University Information Technology Services (UITS) department is the central technology department for the University of Arizona. In 2009 I lead a team to re-design the website to bring it up to date both visually and technologically. Read more for details of the project. UITS hires a lot of student employees each year. Keeping track of who's finished their paperwork, gotten their picture taken, granted systems access, etc was becoming a big headache. I led the effort to create a web application to streamline the process, and make it clear who was on what step of the hiring process. The application has led to a great reduction of people who 'fall through the cracks' when they're hired. Read more for details of this application. 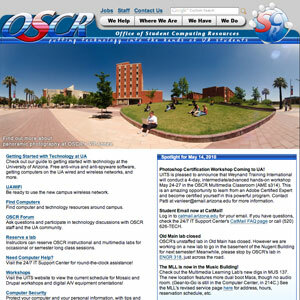 The Office of Student Computing Resources (OSCR) at the University of Arizona was responsible for the open computer labs on campus, free multimedia gear for checkout, classroom technology, and much much more. Read more for details of this site. 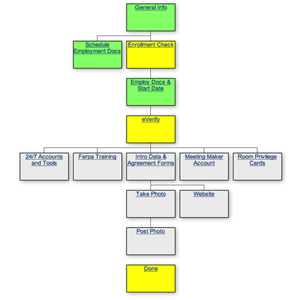 This web application was administrative back-end for the OSCR, UITS, and other websites. 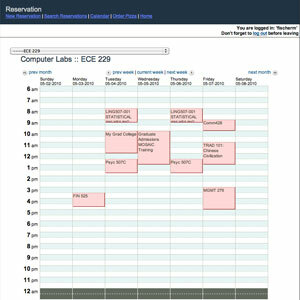 The site allowed for room and equipment reservations, user profiles and information, workshop scheduling, and much more. Read more for the details of this site. This web application was built to help the nearly 40,000 students at the U of A migrate from our in-house email system to Google Apps for Education, which we branded as CatMail. This application was the user interface to an API developed by our infrastructure team. Their API communicated with Google to create, activate, and manage accounts. The front end that I wrote was used to guide students and staff through the opt-in process, and ensure a great user experience. 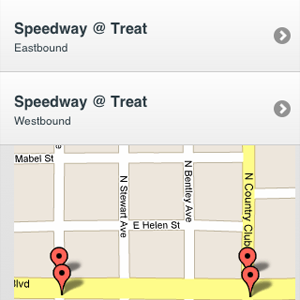 This simple web based tool uses the location features of WebKit based browsers to find nearby bus stops and link to arrival times.